Moths are winged creatures having maximum similarities with butterflies! Varied species of Moths have a dramatic appearance and differ in size. These creatures have two pairs of scaled wings. Unlike the butterflies, the moths have feathery antennas with no balls at its end. Research defines Moth evolved a long time before the butterflies. The moths look innocent but are nuisance creating creatures! These creatures infest agricultural fields, gardens, and even the wardrobes and furnishings. The moths cause extensive damage to the agricultural fields and also invade the households in search of food and shelter. Moths get classified as pests for the damages. 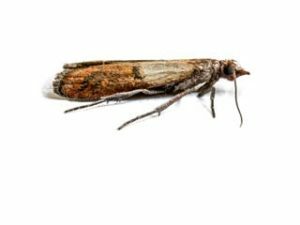 To prevent damages and losses, you need to take preventive measures Moth Pest Control. But, before you implement the treatment methods, you must have proper info about the health concerns related to moth infestation. You need to look out for symptoms of moth infestation so that you can implement the right treatment measures at the right time. Implementing the right treatment technique requires identifying the species of moths commonly found in Australia. You can implement your DIY skills by choosing the insecticides available at the retail stores. But, it may not be the right way to prevent severe infestation. Consult professionals for Moths & Pest Control Services Melbourne to get rewarding effects. Only certified professionals can offer the best help to eliminate moths and prevent future infestation for a longer time.